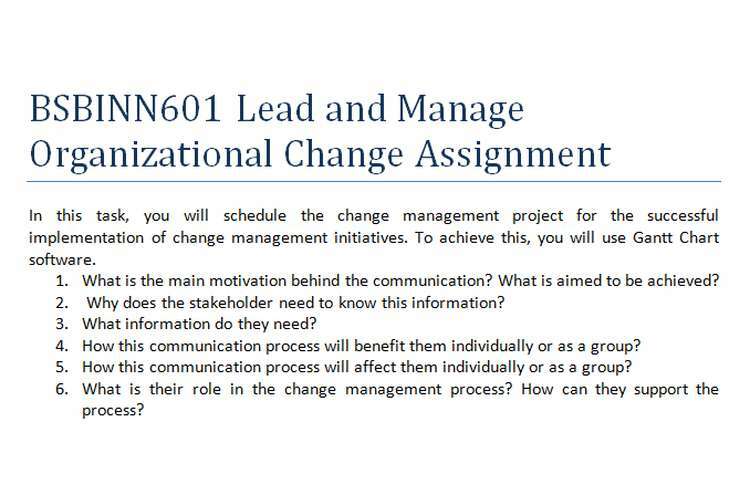 The change management plan and communication plan is presented within the simulated business environment as a part of role of Business Change Management Officer in accordance with the strategic review conducted through an external marketing agency Statistical Australian Marketing Research Agency. In order to obtain approval from the Business Change Manager the plan has to be modified so that the mistakes and omissions can be rectified and the changes can be successfully implemented in Fit Life. The report will be made including the details of the modifications required to be made in the change management plan along with the suggestions, feedback, customer grievances and recommendations and the process through which modifications will be made in the plan. Increase online and internet presence to improve market access. Employment of high quality and experienced trainers with adequate qualification and requisite experience to replace them with existing ones. Increase or manage the operating hours of clubs. Provide for training and development of long term staff members. The presentation of project plan will include details of cost involved for acquiring resources and implementing plan, time duration for completion of project and the cost benefit analysis of the project. Developing online portals for establishing online presence and e-commerce to sell health packages online. Cost reduction of service delivery, labour and maintenance. Increasing in operating hours of clubs. Launching Iron man loyalty card program with scheme of 10% discount on purchases.